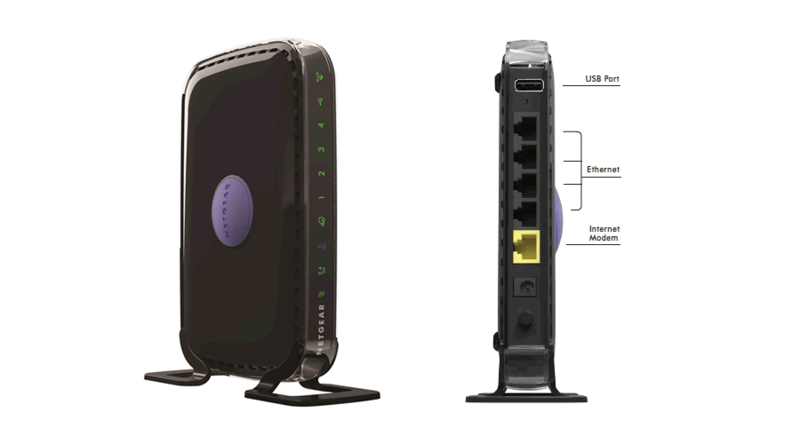 The NETGEAR N600 Wireless Dual Band Router offers high-performance wireless speeds up to 300+300 Mbps and with simultaneous dual band technology avoids interference, ensuring top WiFi speeds and reliable connections. It can enable a powerful home network for applications such as streaming multimedia and multiplayer gaming. Improved wireless range delivers better connections for medium-sized to large homes and multiple devices. Advanced features include ReadySHARE® USB for wirelessly accessing and sharing USB storage devices and NETGEAR® genie® App for easy installation from an iPad®, tablet, computer or smartphone. It includes a personal dashboard, allowing you to manage, monitor, and repair your home network.